Carnac, a small town of the Morbihan Gulf, has a reputation that goes far beyond its modest dimensions. The reason ? These alignments of megaliths that mark the entrance of the village, a prehistoric site known worldwide and still full of mystery! But the megaliths are not the only attraction of Carnac, far from it. Sea side, vacationers delight on the beaches of Brittany coastline, where a family atmosphere ... the ocean offers all kinds of leisure, sailing and water sports, fishing, just swimming. 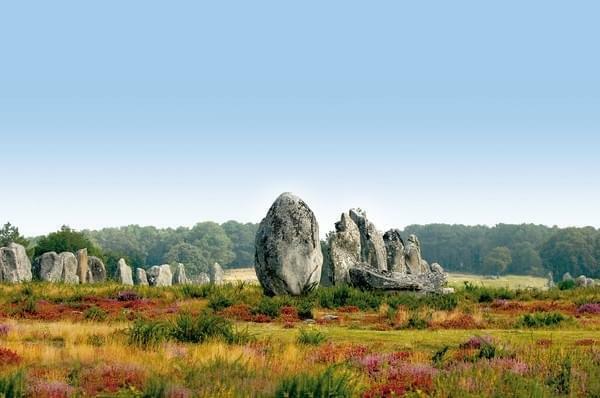 Carnac also has a large spa center, perfect for a relaxing and fitness. A lot of demand, resulting in higher prices ... budget, it is not always easy to book in Britain. However, to stay in Carnac without breaking the bank, it remains campsites, a practical, economical and fashionable! You will not find a cheaper place where your tent; some campsites offer a high level of comfort also. Always book as soon as possible. Last tip: bring nothing to be hot in the tent, we are still in Brittany ! To help you find your way in all these addresses camping Cityzeum provides you with a complete list of addresses and contacts (email, phone number, website) of campsites Carnac no intermediary, book, he n 'there is more to make your choice!